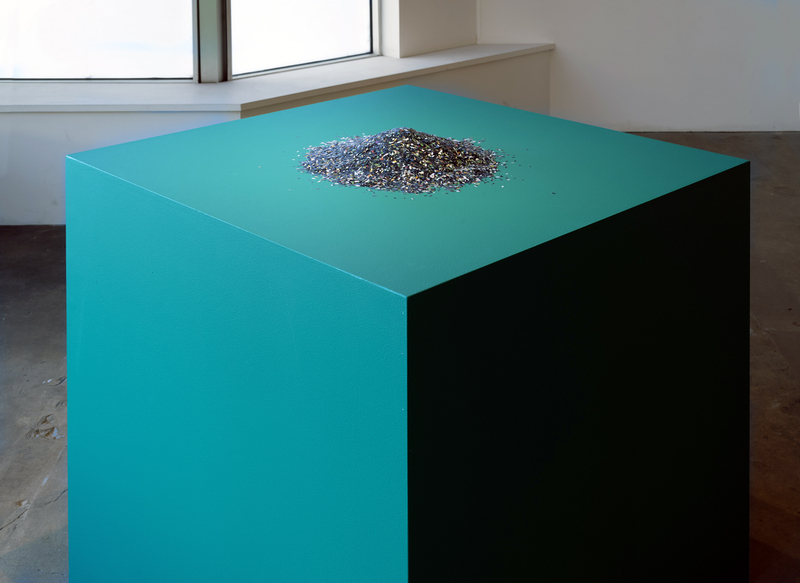 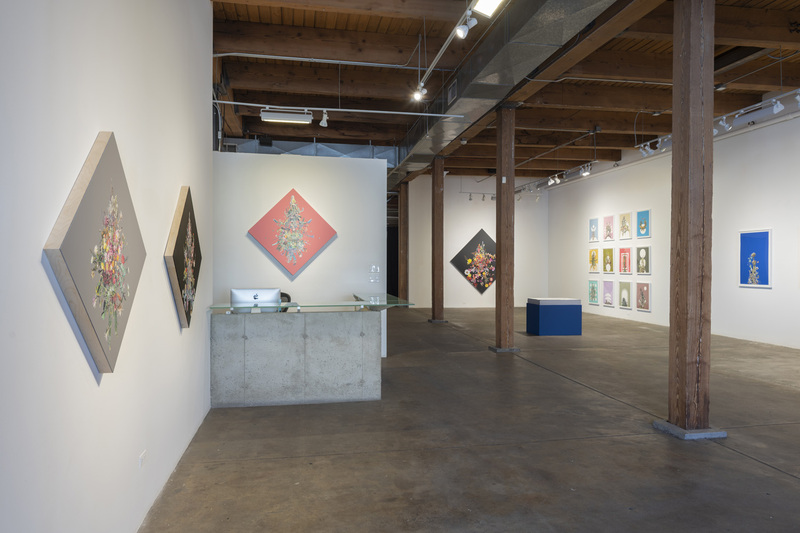 Carrie Secrist Gallery is pleased to announce Chicago-based gallery artist Stephen Eichhorn’s debut solo exhibition here: Ceaseless Wheel. 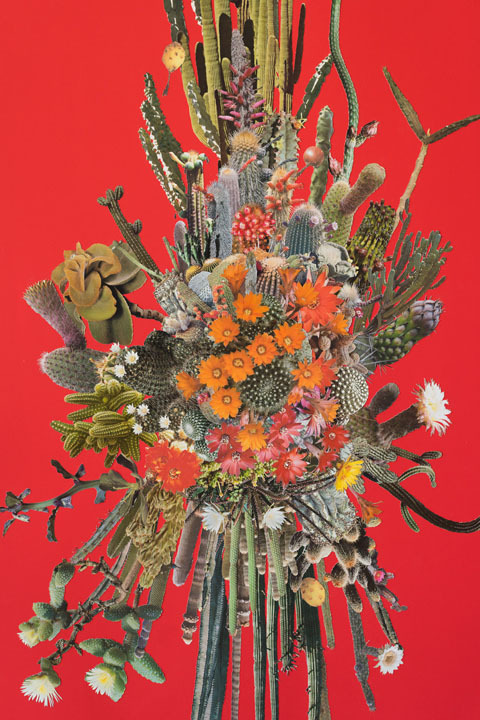 Stephen Eichhorn’s intricate flora collages pay homage to the Ages of the Anthropocene and Psychedelia, creating a transportive experience through the act of looking. 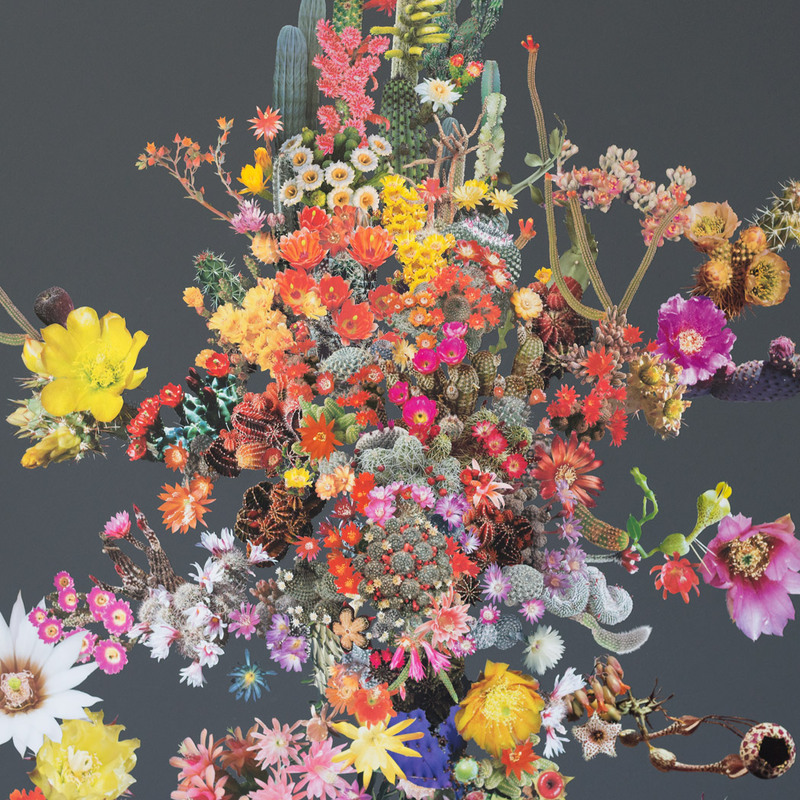 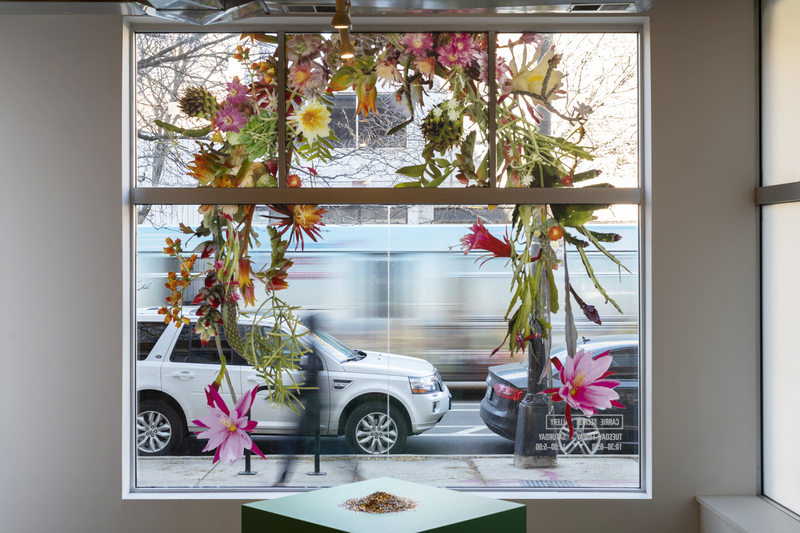 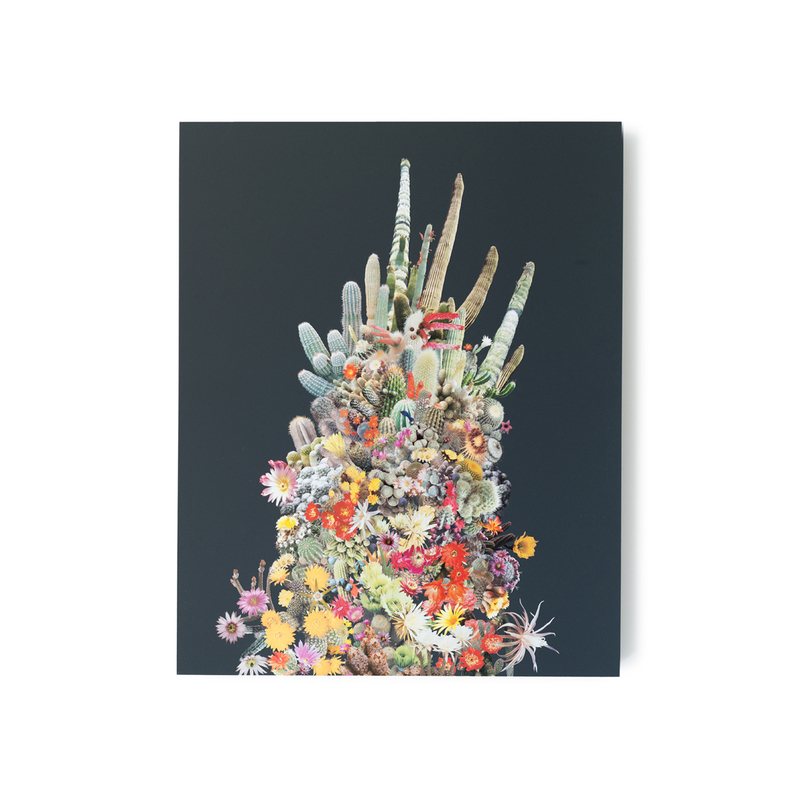 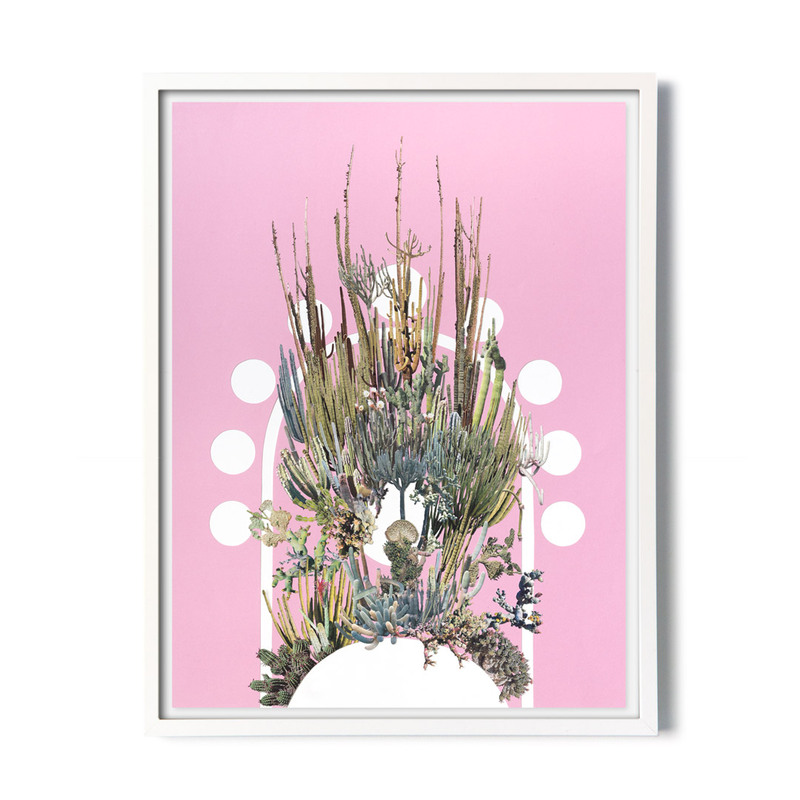 Succulents, Cacti and other plant matter are arranged and intuitively piled, creating hybrid plants in micro-ecosystems that take on strangely familiar, yet cosmic forms. 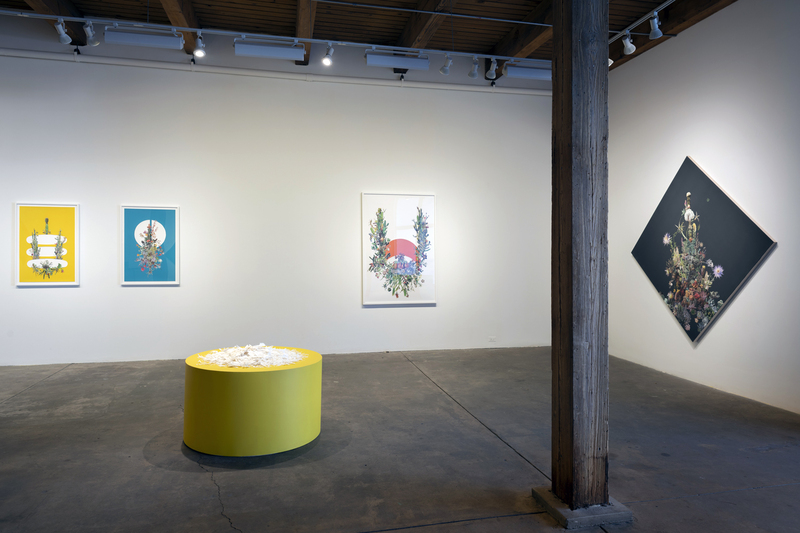 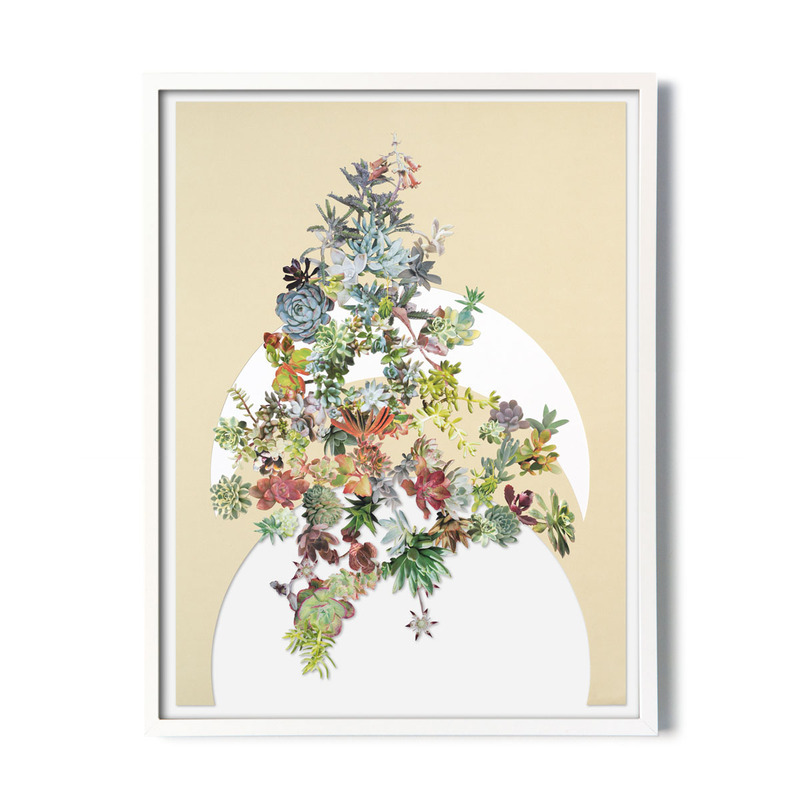 Using design elements and materials sourced from historical botany textbooks and other publications, these works on paper and panel heighten our connection to the natural and man-made climates that surround us. 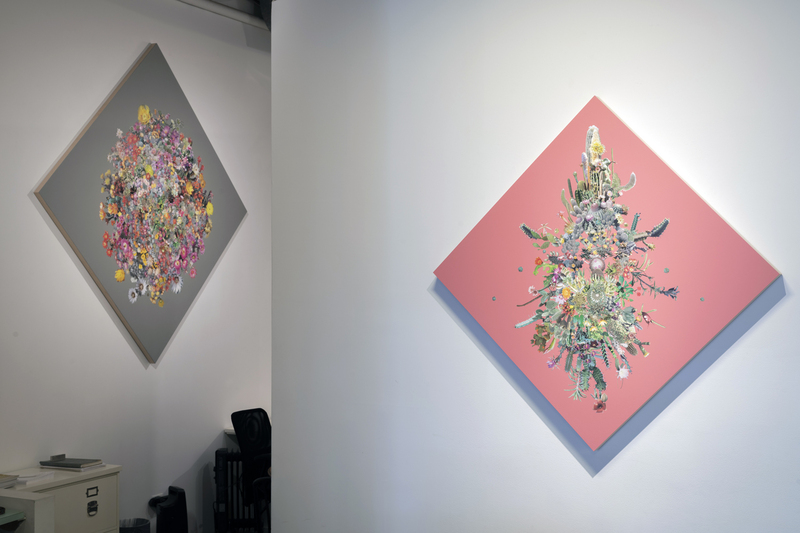 Colors and shapes are equally integral to the dynamic function of the art work on view in Ceaseless Wheel. 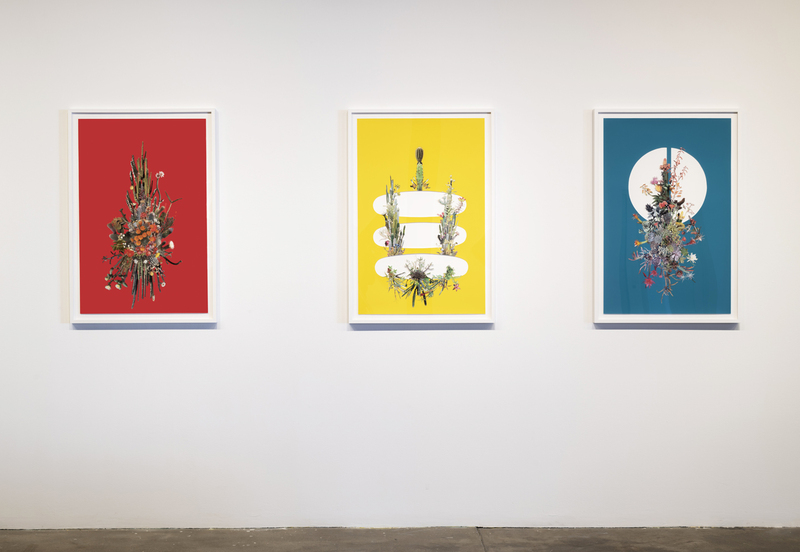 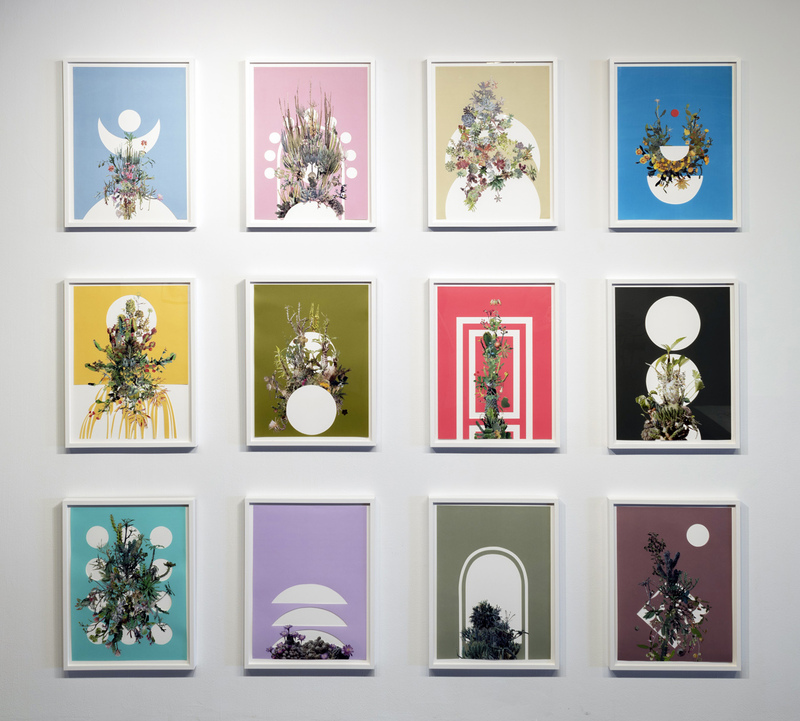 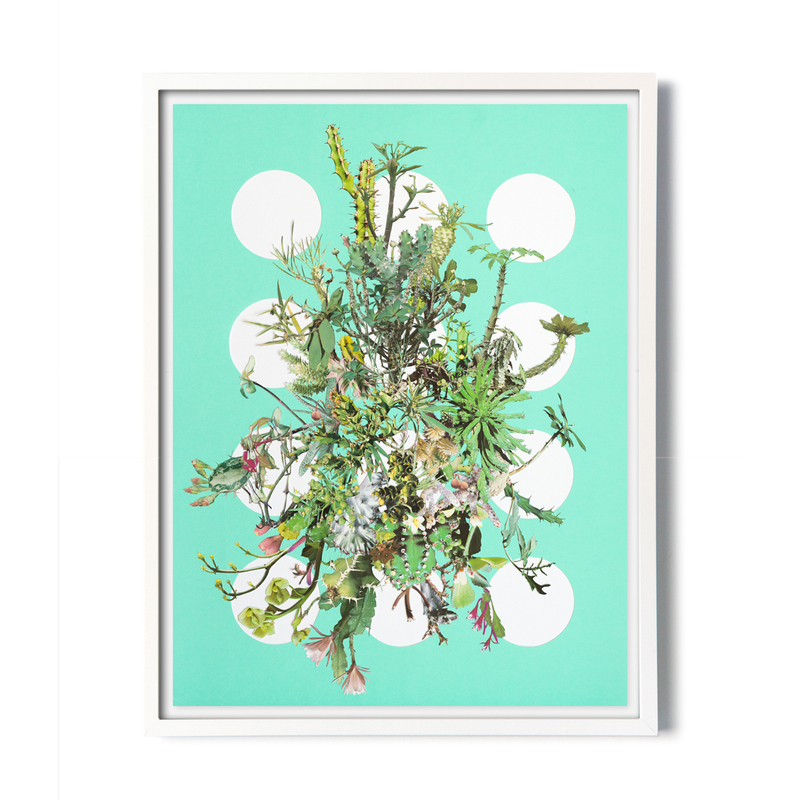 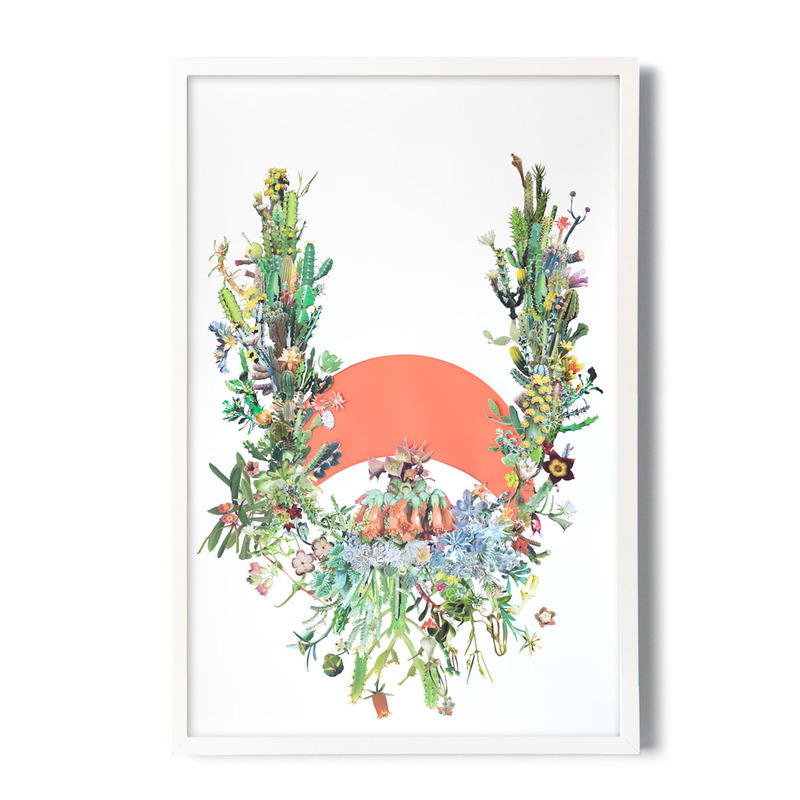 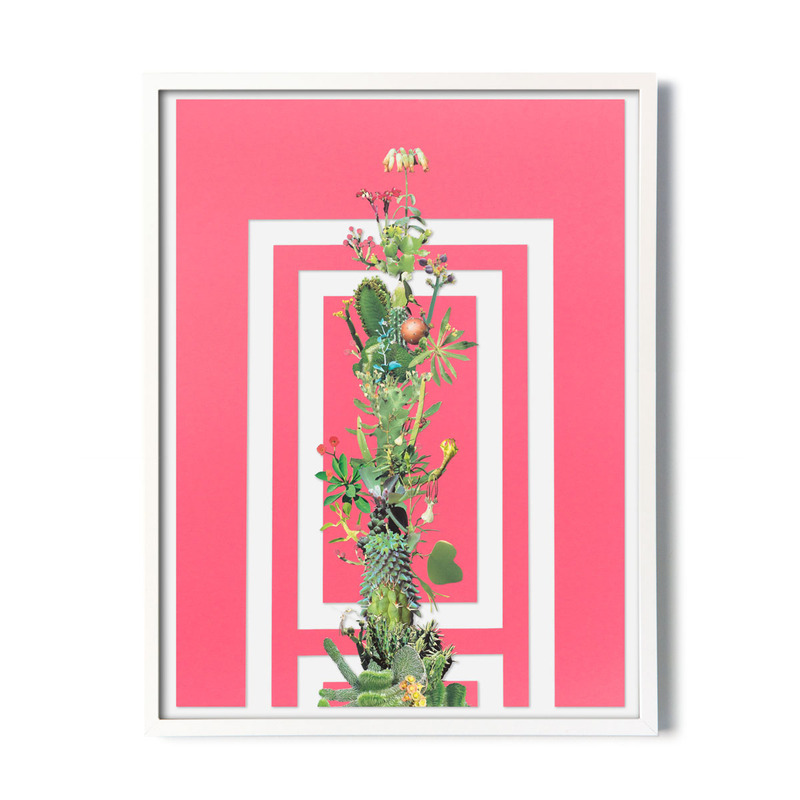 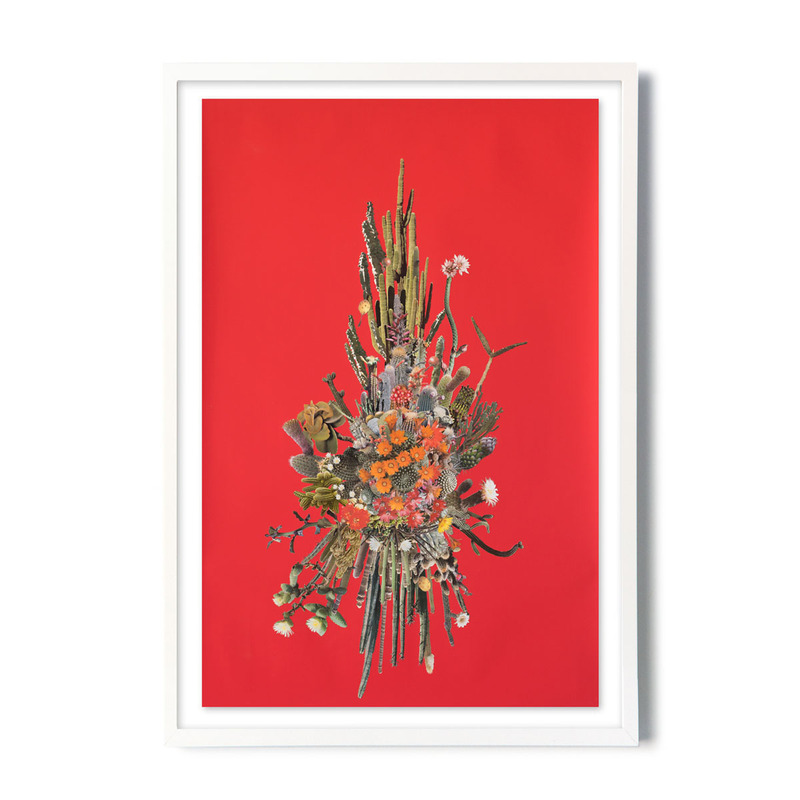 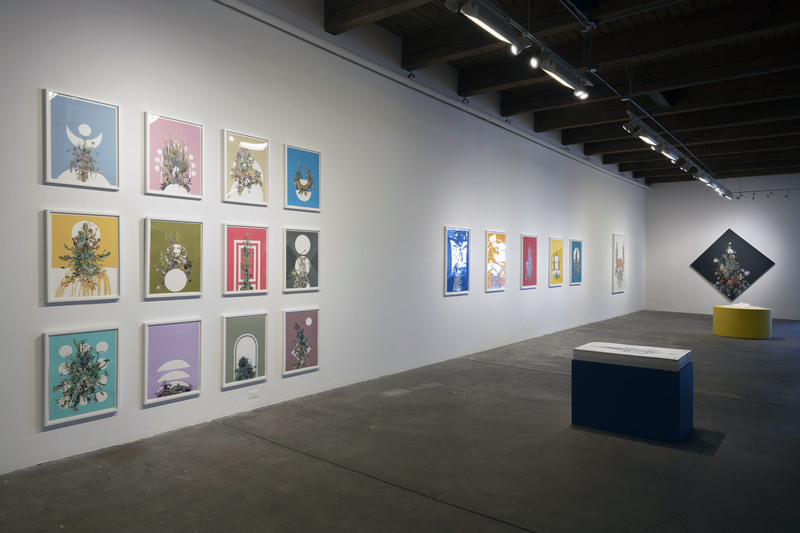 Eichhorn’s works on paper incorporate wide swaths of monochromatic colors that mimic and highlight singular colors found in the flora being used. 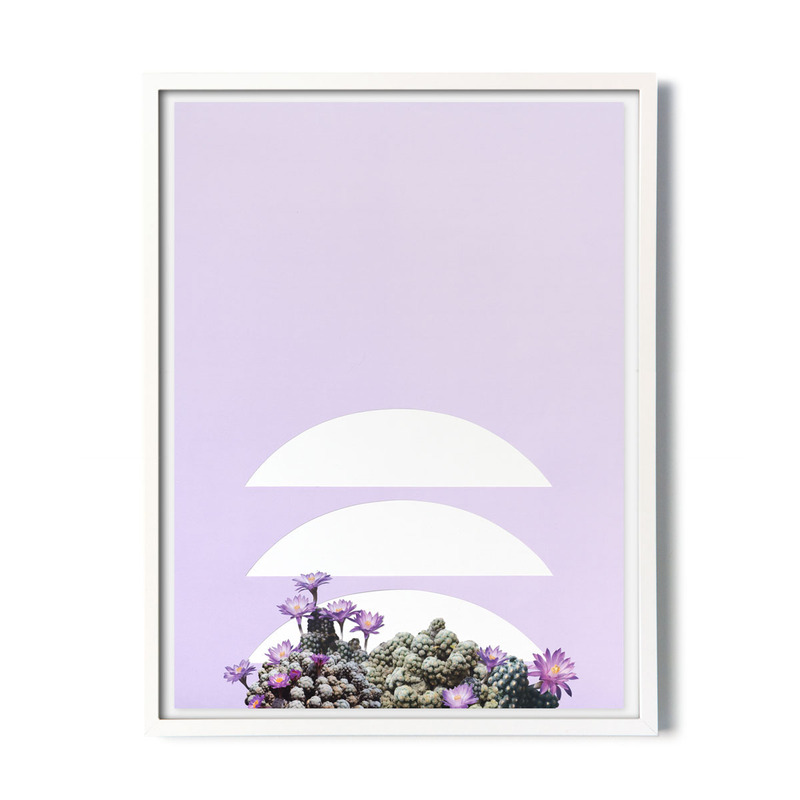 Holes, arcs, crescents and other geometric patterns are cut out of the paper creating white voids of space that utilize formal artistic elements of foreground/background. 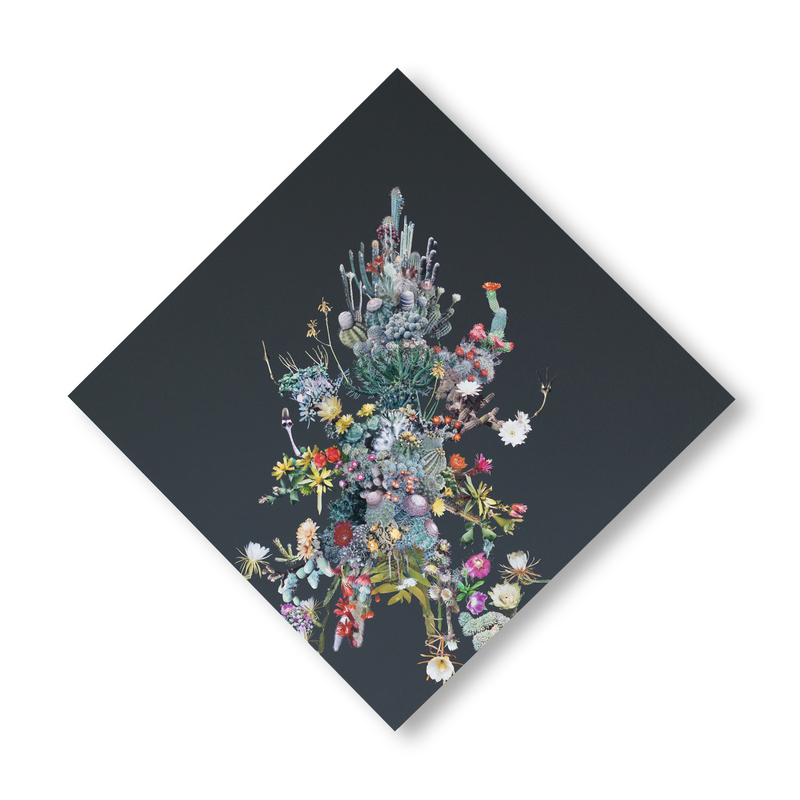 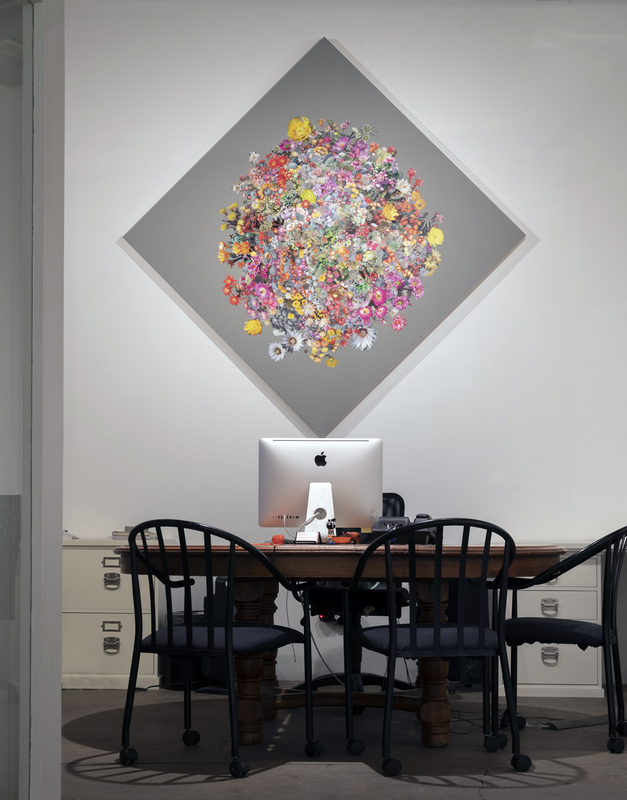 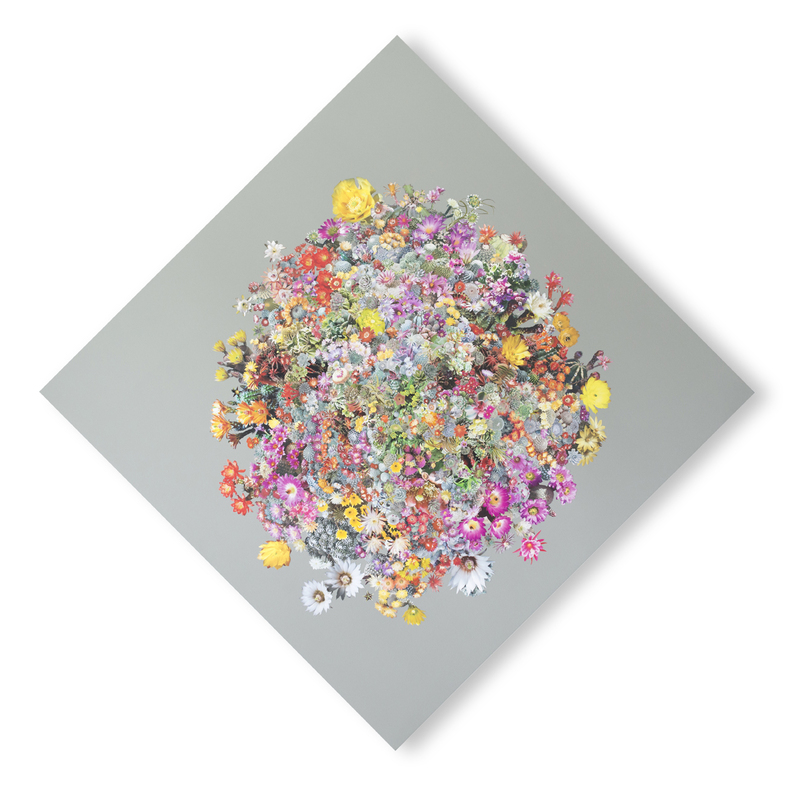 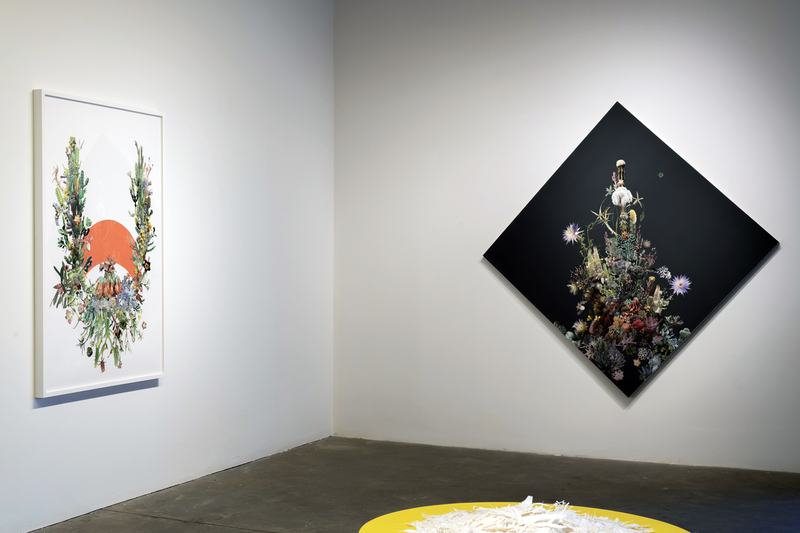 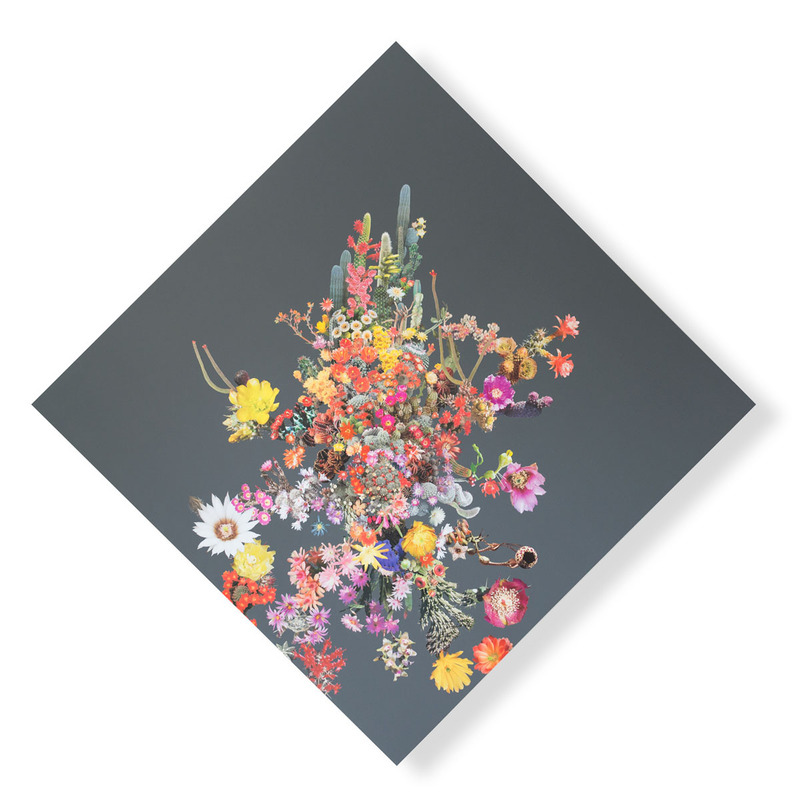 Eichhorn’s diamond-shaped works on panels are built using light-sucking matte blacks and grays that enhance the colorful hand-cut paper flora. 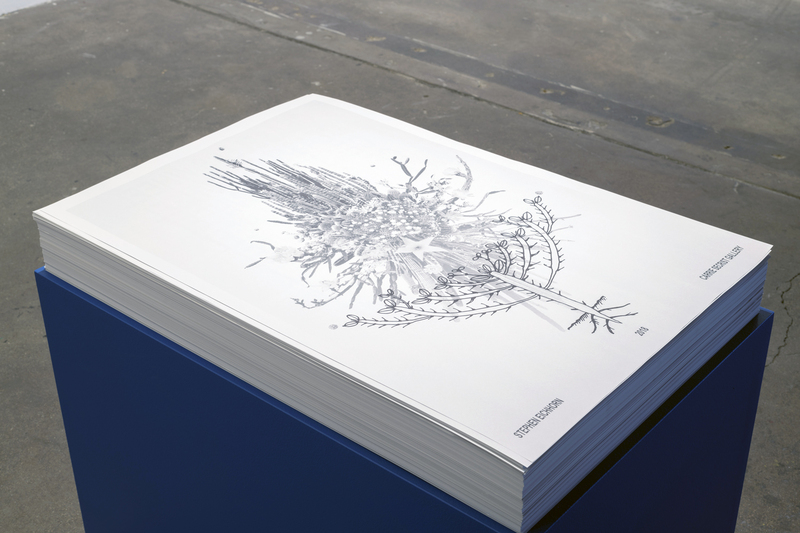 The shape of the panels mimics the geometric signatures in the paper works, creating an interweaving visual dialogue. 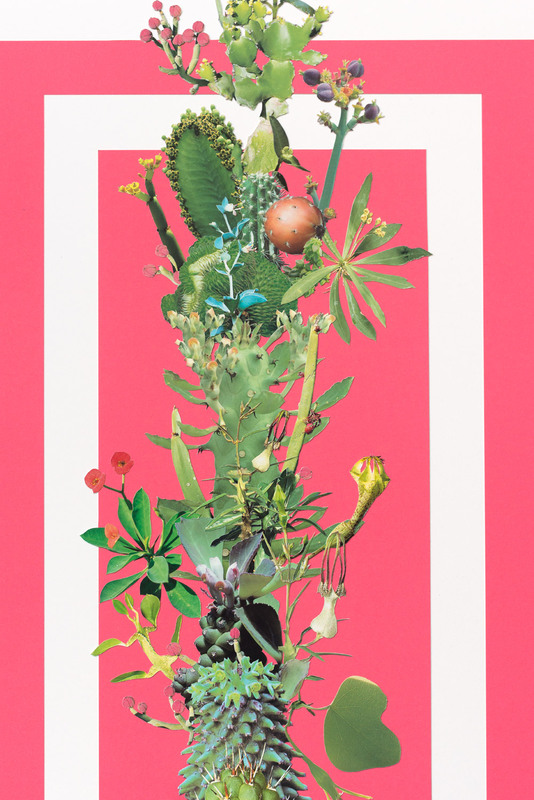 In conjunction with Ceaseless Wheel, Carrie Secrist Gallery will be presenting a special book signing with Stephen Eichhorn on the occasion of the release of the 2nd edition of ‘Cats & Plants’ (Zioxla). 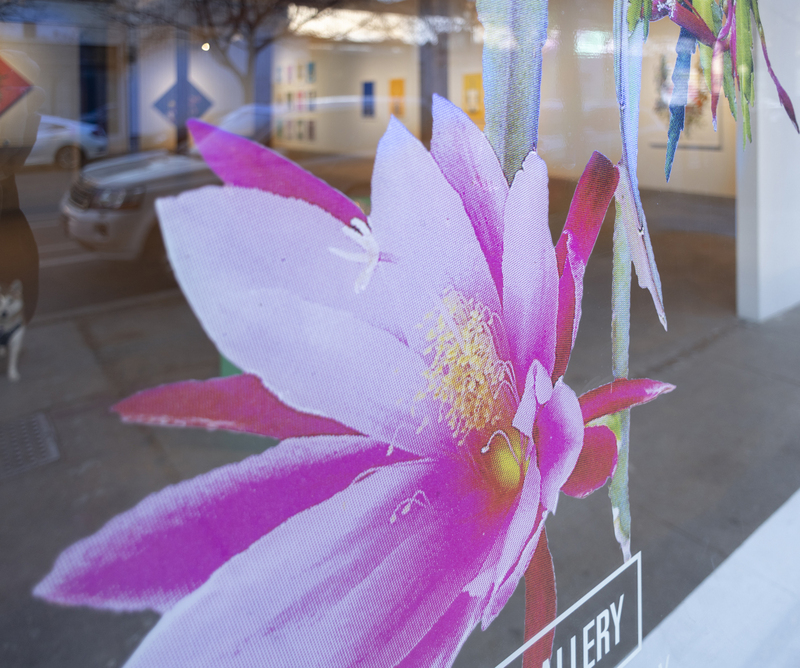 Please join us Saturday, December 1 at 1PM for the book signing and additional talk with the artist. 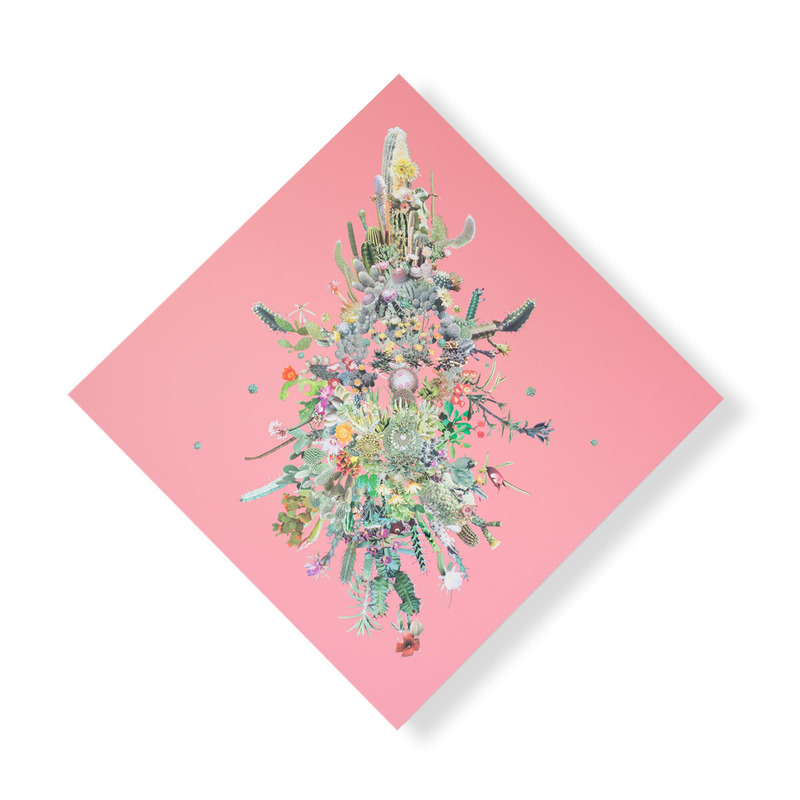 Stephen Eichhorn (b. 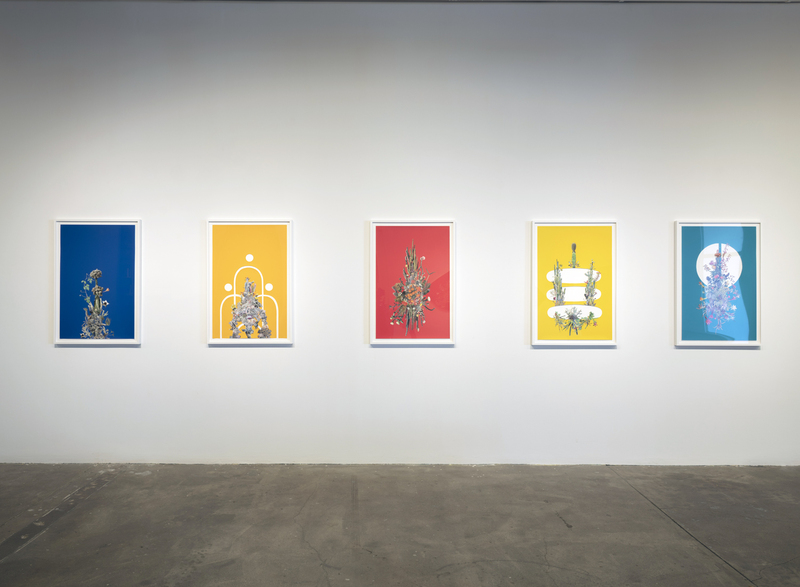 1984, United States) lives and works in Chicago. 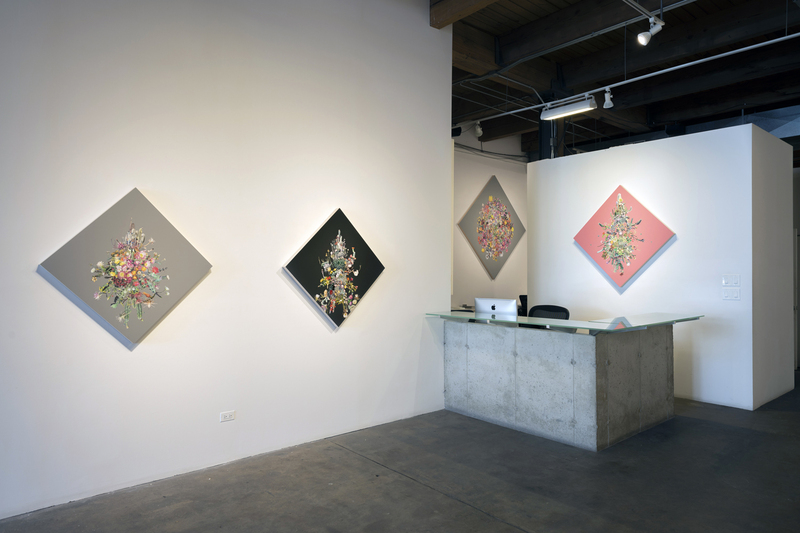 He has had solo exhibitions at the Franklin Park Conservatory, Elmhurst Art Museum and the Chicago Athletic Association. 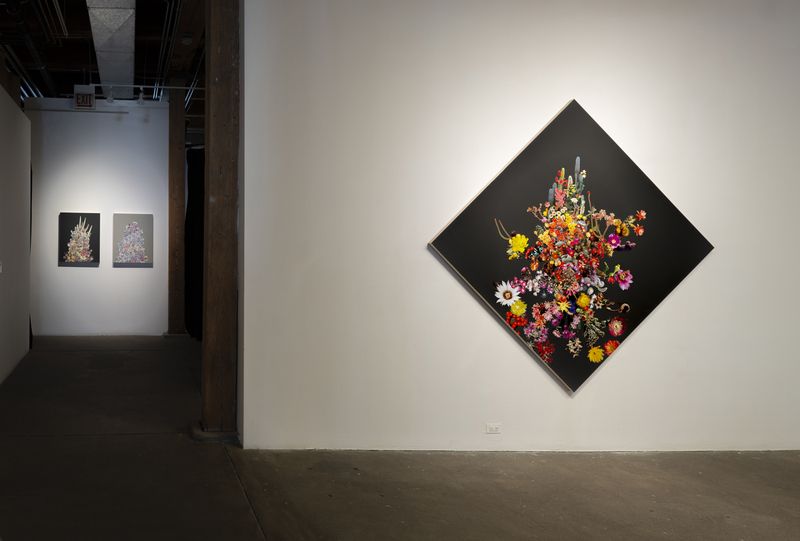 His work has also been included in group exhibitions at the Tower Hill Botanic Gardens, the Ukrainian Institute of Modern Art, NEIU Fine Arts Center Gallery, Illinois State Museum Lockport Gallery and the Museum of Arts and Design, New York. 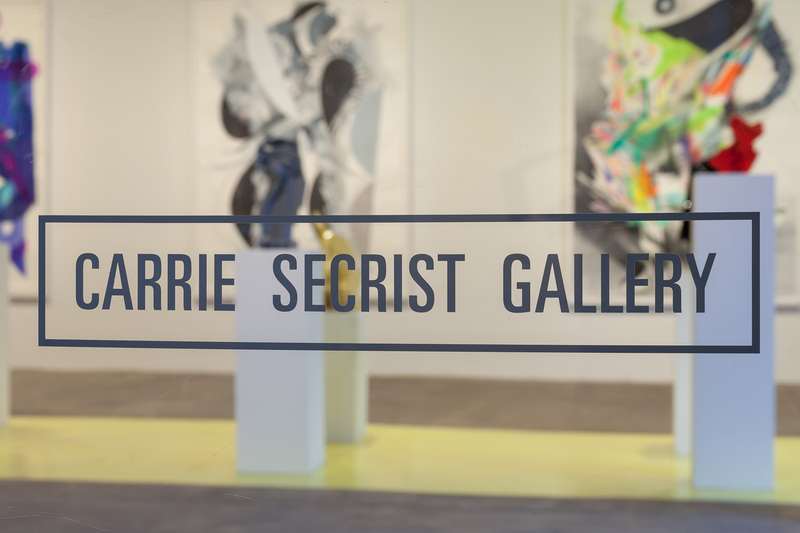 Stephen Eichhorn is represented by Carrie Secrist Gallery.